So, you have a bunch of little wanna-be-rockstars in your household, but you’re not sure that an electric guitar is the right gift just yet? Never fear, we have a softer solution. 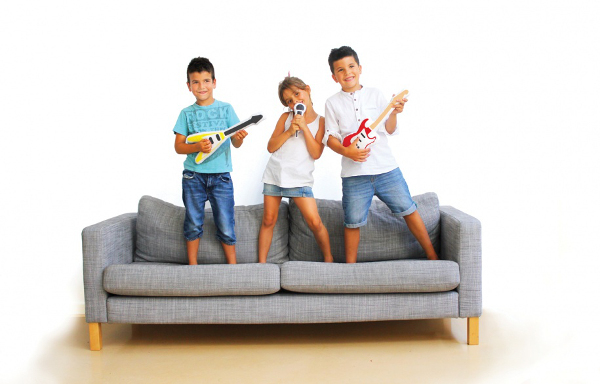 These very cool Pillow Band cushions from Doiy are set to rock out your playroom, without breaking the budget, or any eardrums. 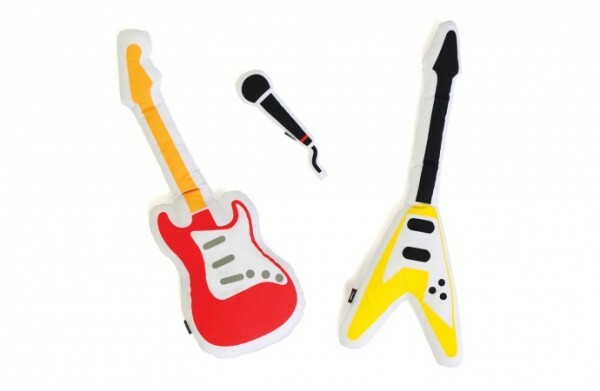 Great for imaginative play, the set comes with an electric guitar, a bass guitar and a microphone for your own little rock stars. The Pillow Band cushions are the ideal size for small hands (the yellow guitar is 46.5cm long) and would make a funky addition to your playroom or kids’ bedroom. Who knows, perhaps once they are famous, your kids will be able to tell the world that they cuddled a soft-toy guitar to sleep as a toddler! The Pillow Band is available from Until for $59.95 for the set, plus post.